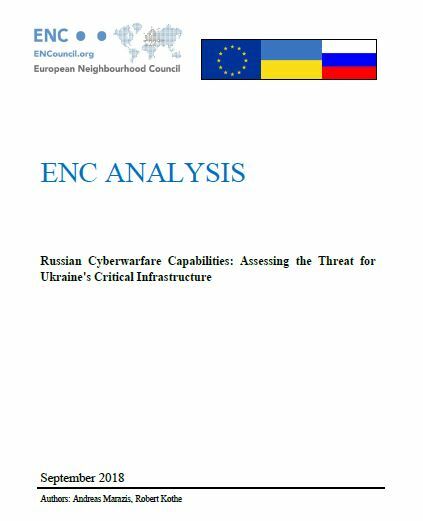 This ENC Analysis is authored by Andreas Marazis, ENC Head of Research for Eastern Europe and Central Asia and Robert Kothe, ENC Research Assistant and identifies cyber threats coming from Russia targeting Ukraine’s critical infrastructure and explains how malicious software infiltrate and affect vital sectors including energy distribution, transport, banking, financial market, and drinking water supply. The final objective of the study is to provide recommendations with the aim to enhance the EU’s critical infrastructure cyber resilience, as well as Ukraine’s through cooperation including lessons learnt from each other. The full analysis is available in PDF format below.